Faggots, Pimps, Benders and a spot of Snedding? 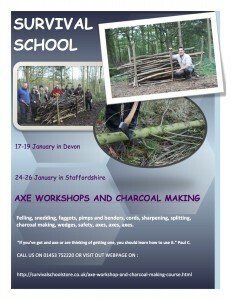 Come and see us to learn how to use your axe safely. Start at felling a tree, then sned it, log it, make woodland products and end up using the whole tree to make bean poles, pea sticks, cords and also make your own charcoal to take home with you. This is what being in the woodlands is all about.